Who gives what on Sant Jordi´s day in Barcelona? On Sant Jordi's day the men in Barcelona and Catalunya give their sweetheart a red rose, and in recent years a new Sant Jordi tradition is that the ladies give the men a book. There are bookstalls and book markets all over Barcelona on Sant Jordis day especially on Las Ramblas and Rambla de Catalunya. 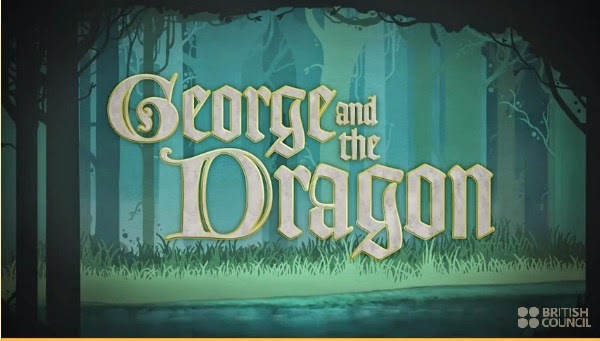 DO YOU WANT TO SEE SOME SAINT GEORGE'S VIDEOS? 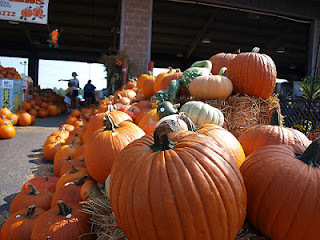 First- Take your umbrellas and go to the market to buy 4 pumpkins. 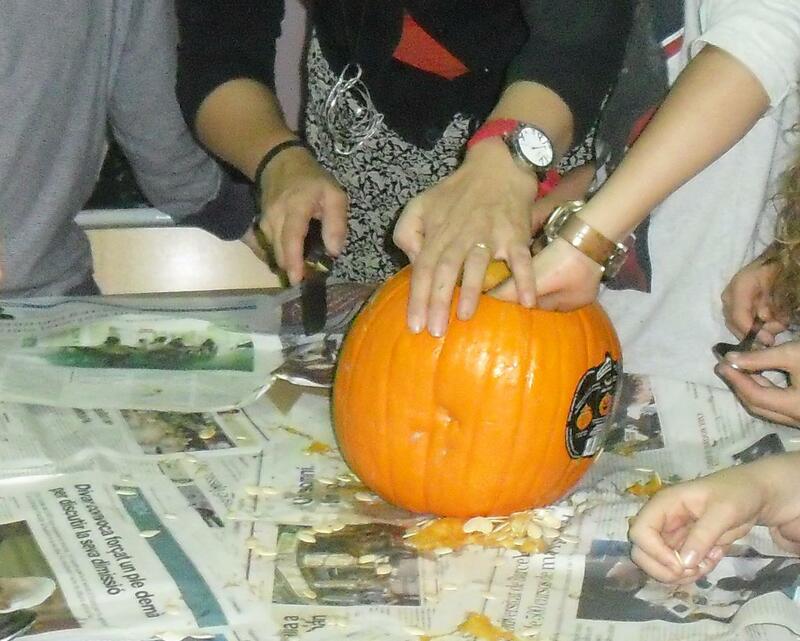 Second- Divide the class in four groups and cover the table with newspaper. Third- Measure a circle with about a 2-inch (5cm) radius from the stem. You'll cut around this circle to make the lid. 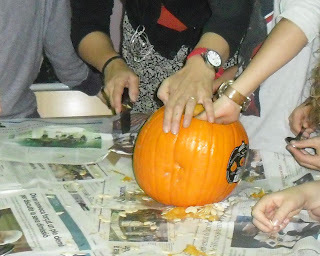 Fourth- Remove the filling from the pumpkin. 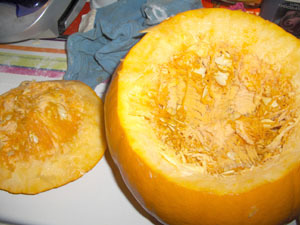 Use a large spoon or your hands to pull all of the filling and seeds from the inside of your pumpkin. Fifth- Draw your design on the pumpkin. 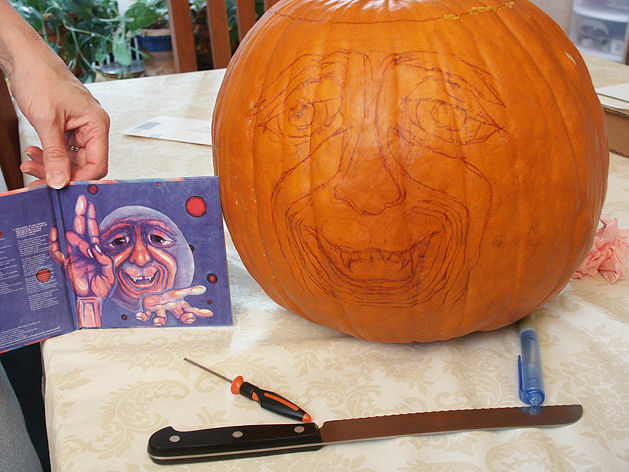 For traditional, silhouette and pith carving, use a permanent marker or dry-erase marker to outline your design on the pumpkin. 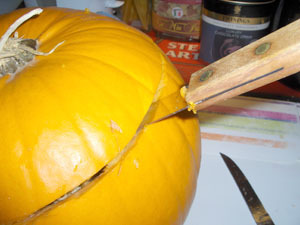 Sixth- For pumpkin carving, use a serrated bread knife. 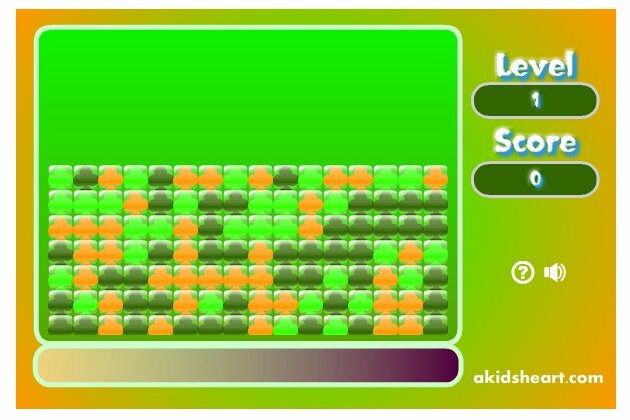 Seventh- Uou!!! Amazing!! 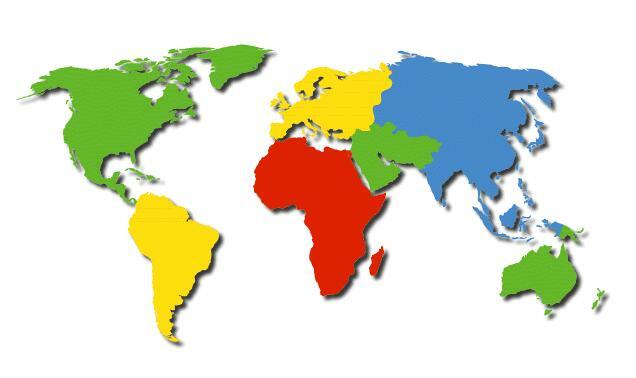 Well done Suricates!! CONGRATULATIONS SURICATES AND THANKS FOR YOUR HELP CARME! 2015! THIS IS HALLOWEEN BY TIM BURTON!!! Can you dress up a monster? 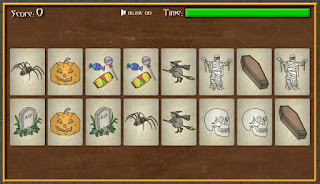 Do you want to hear a Halloween story? I know you love this game!!!!!! Do you want to play a game??? In this game, you control a paddle that is used to hit a ball into breakable blocks. 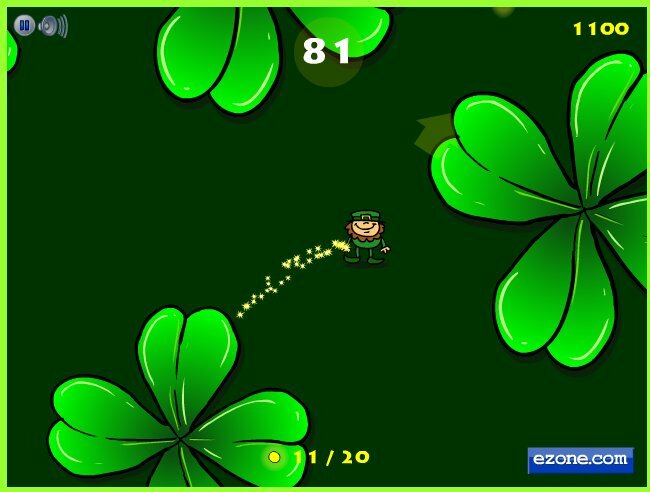 You can even pick up special bonus items to help you complete each level. 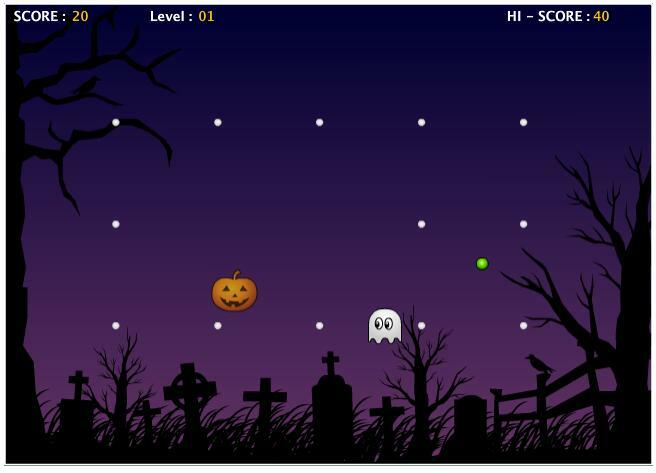 This is a spooky Halloween twist on a classic game. 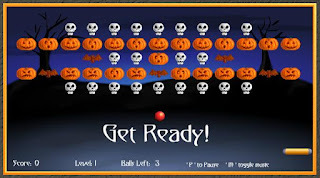 Do you want to play more games? This is a memory matching game with a bit of Halloween style. 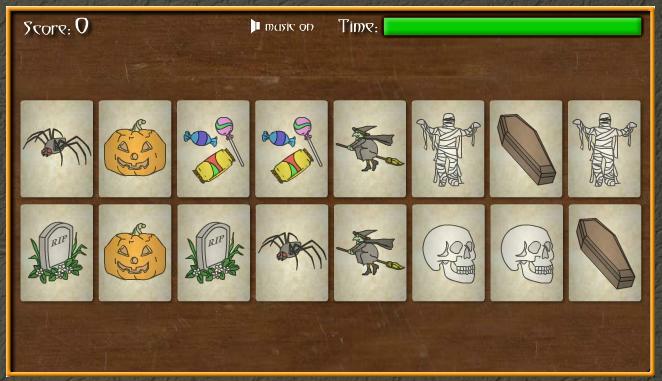 Memorize the images on the cards before they flip over and then try and find all of the matching pairs of cards before time runs out. PAPA PLEASE GET THE MOON FOR ME!!! 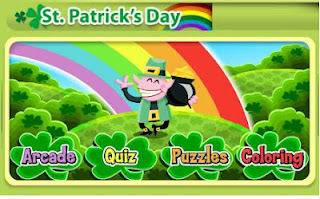 Do you want to hear and see the Saint Patrick's story narrated by a child??? It's really good!! Do you want to play games about Saint Patrick's Day??? 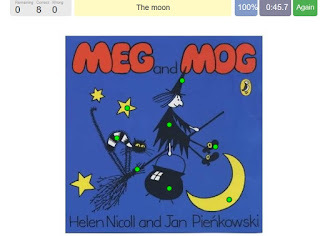 Meg and Mog is a series of children’s books written by Helen Nicoll and illustrated by Jan Pieńkowski. First published in the 1970s, the books are about Meg, a witch whose spells always seem to go wrong, her striped cat Mog, and their friend Owl. It was also made into an animated comedy series based on the books. Fifty two 5 minute episodes were produced by Absolutely Productions and first broadcast in the UK on CITV in 2003 Tiny Pop. 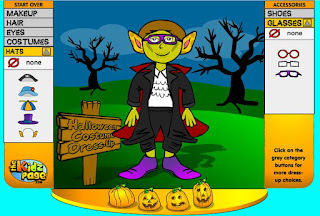 It was produced by Carl Gorham and directed by Roger Mainwood, featuring the voices of Alan Bennett as Owl, Fay Ripley as Meg, Phil Cornwell as Mog. WE ARE GOING ON A BEAR HUNT 25th ANNIVERSARY!!! 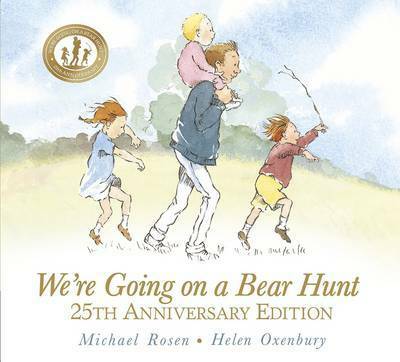 For brave hunters and bear-lovers, this is the classic chant-aloud by Michael Rosen and Helen Oxenbury in a beautiful 25th-anniversary edition. We're going on a bear hunt. We're going to catch a big one. Will you come too? For a quarter of a century, readers have been swishy-swashying and splash-sploshing through this award-winning favourite. Follow and join in the family's excitement as they wade through the grass, splash through the river and squelch through the mud in search of a bear. What a surprise awaits them in the cave on the other side of the dark forest! It was the winner of the 1989 Smarties Book Prize and highly commended for the Kate Greenaway Medal. This anniversary edition is a jacketed paperback - embellished with gold foil, gold bear logos and a special gold sticker. 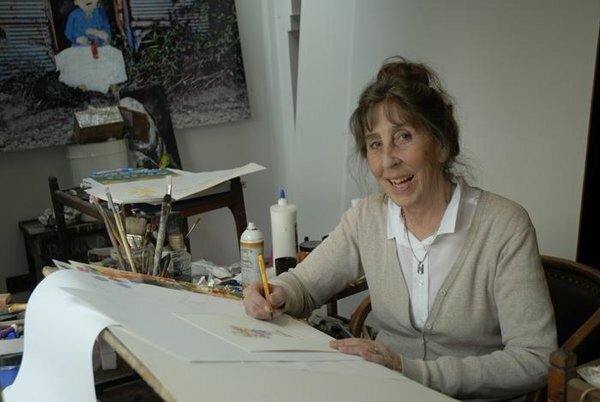 Helen Oxenbury is among the most popular and critically acclaimed illustrators of her time. Her numerous books for children include Smarties Book Prize-winning Farmer Duck by Martin Waddell; We're Going on a Bear Hunt by Michael Rosen; as well as her classic board books for babies. She won the Kate Greenaway Medal for Alice in Wonderland. Her most recent picture book was the critically acclaimed There's Going to Be a Baby, the first book-publishing collaboration between her and her husband John Bumingham. Helen lives in London, NW3. Do you want to see the author explaining the book?? 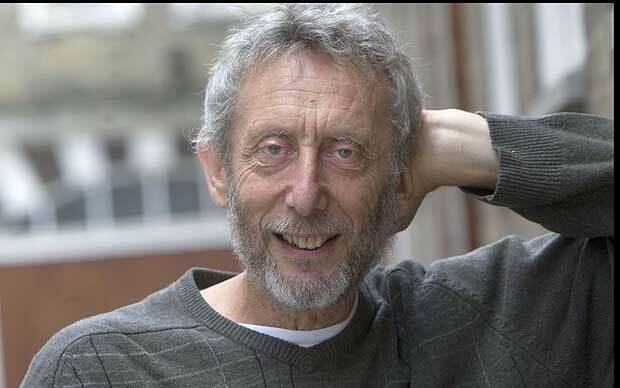 Michael Rosen author of 'We're Going On A Bear Hunt' discusses the importance of getting children reading and how to do it. 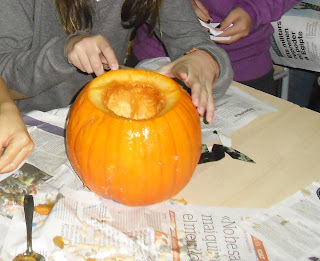 A punt per iniciar les tasques d'Escola Verda!